I went to Paris alone.. again. All year, I've been dreaming about what Paris would look like during Christmas season. I could imagine all the lights and all the holiday windows. 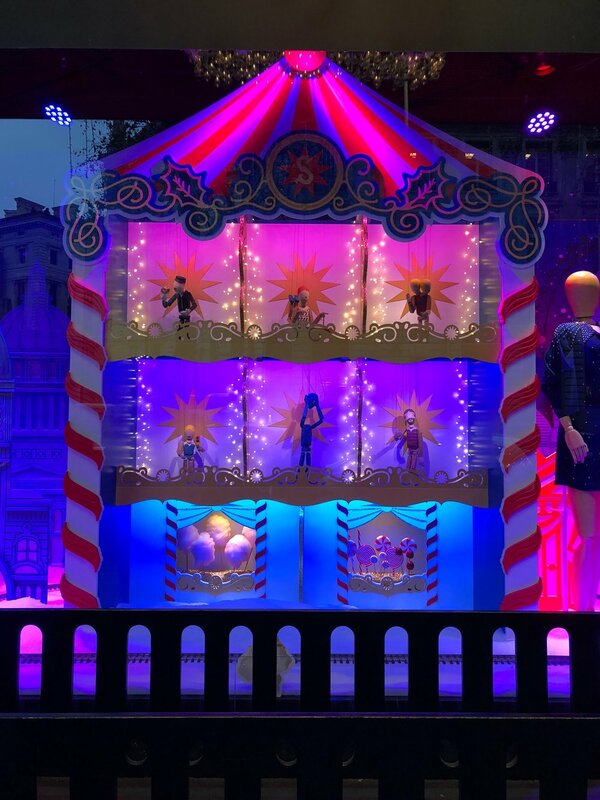 I caught Galeries Lafayette's windows last year (mid-November) and it's one of the best I've ever seen. I wanted to go back when Christmas was in full force. So I did it. The view from my room. If you're wondering how I took this photo when I went by myself, the answer is here and here. When you don't have an Instagram husband, you learn to be resourceful. 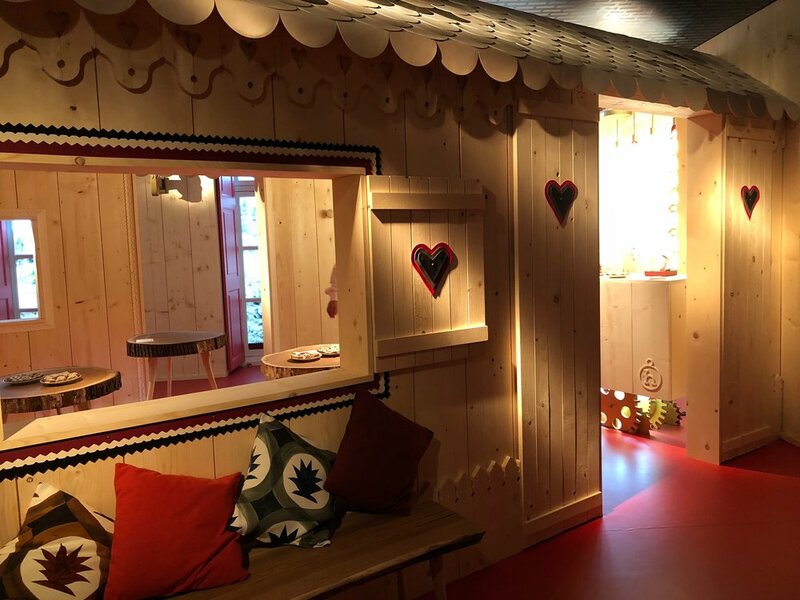 I booked my flights through Norwegian Airlines again and I booked my hotel through their website too (which the hotel told me was affiliated with expedia). I always stay in the Louvre/Vendome area. I love being by the Tuileries and I love that there are a lot of restaurants/shops around. Since I've been to Paris a few times, the Eiffel Tower wasn't on my stop list, but having an Eiffel Tower view still makes me excited. I stayed at Hotel Regina with an Eiffel Tower view during my March trip, but I prefer to be a bit closer to the Place Vendome area, so I went with the Westin Vendome. This has been my favorite hotel thus far. It's in a prime location. There are plenty of doormen who always greet you. It was a bit of a maze to find my room, but the view is worth it. There was a mini terrace you could walk out on to see the entirety of the Tuileries, the ferris wheel, and the Eiffel Tower. At night, I still love to watch the tower twinkle every hour. Wearing: Max Mara coat. Hermes scarf. Stuart Weitzman boots. Hermes craie mini kelly. I love walking around the city. I love riding around in a taxi/an uber and passing by all of the monuments and the buildings. It gives me the happy feels. The new Louis Vuitton at Place Vendome has a stunning sun installation. 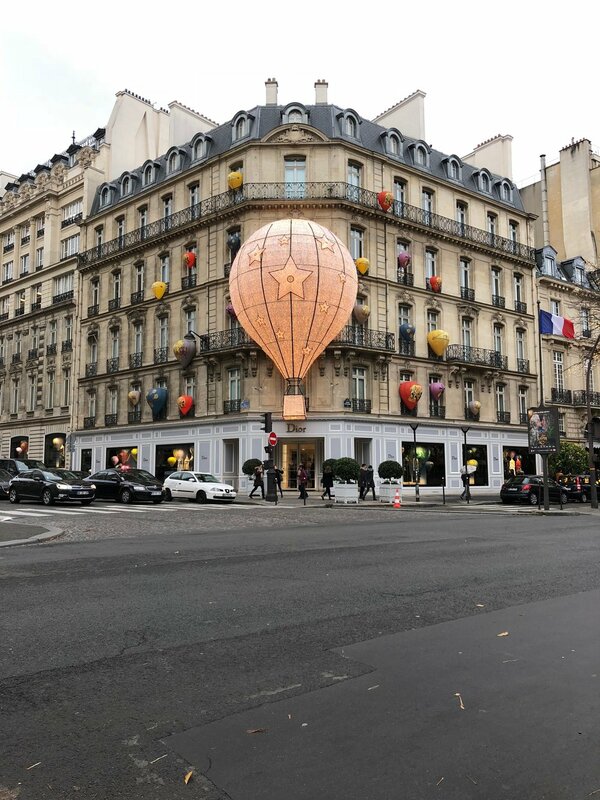 Dior on Avenue Montaigne had a holiday hot air balloon installation. There were lights and Christmas trees up everywhere. I dropped by Colette for the very last time to pick up a souvenir. They closed their doors on December 20th. They didn't want to sell the "name" because it wouldn't be the same. FSH (aka the Hermes flagship) had a "Petit H workshop" set up for the holidays. On the 2nd-ish floor, beyond the jewelry section, they had a tea and cookies shop + a photo booth. Beyond the clock was an area where you could make your own ornament. The windows of FSH feature little cutouts of Michael Coste, the head of external relations. On my walk through of the workshop, I spotted Michael having fun at the photo booth with a little boy and his mother. The little boy was too adorable! Definitely made me miss my kids. Galeries Lafayette always has a magical display. In the middle of the department store, they featured a giant Christmas tree made of mylar balloons. The balloons floating around the tree moved up and down. Olivia would've been completely enthralled. I've never shopped at Sézane before, but I wanted to pay a visit to L'Appartement Sézane while in Paris because it's a gorgeous space. They had neat knick knacks. The shoes were cute, but of course, I'm a size 34 (they don't make my size). I picked up a t-shirt for my baby sis and a cute postcard (with the Eiffel Tower and cats.. sold). 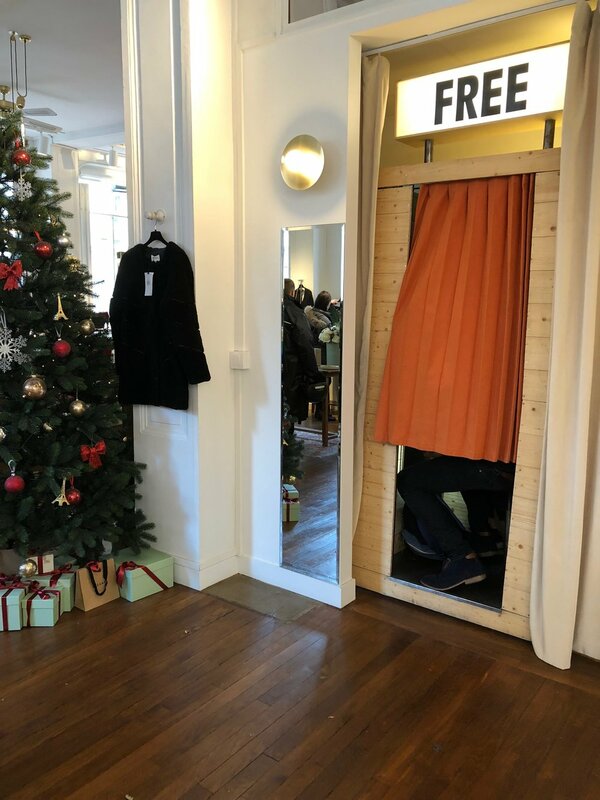 There's even a free photo booth in the store. My favorite part of the entire trip may have been the Dior exhibition. I didn't pre-buy any tickets so that meant standing in a line. While walking toward it, I noticed the line was super long and I told myself to try another day. I went to eat udon at Sanukiya and upon walking back, the line had significantly decreased. It was close to 8pm and the attendant in the back was shouting to everyone that they'd only have 45 minutes to see the entire exhibit, which was designed to be a 2-hour tour (even though the exhibit closed at 10pm). I ignored it. I rarely go anywhere past 6pm so I was sticking it out. After about 15-20 minutes, I was in. I felt like I was in a fairy tale. The history. The design. The workmanship. STUNNING. I saw a red cape that one of my mom's vintage barbie's wears (I now know where the inspiration came from.. and yes, my mom used to collect barbies). In one of the rooms, the ceiling projected twinkling stars.. magic. In another room, the ceiling was paper of cut-out paper flower strands. I stayed til near closing. The only thing Bubba asked for from Paris was chocolate. 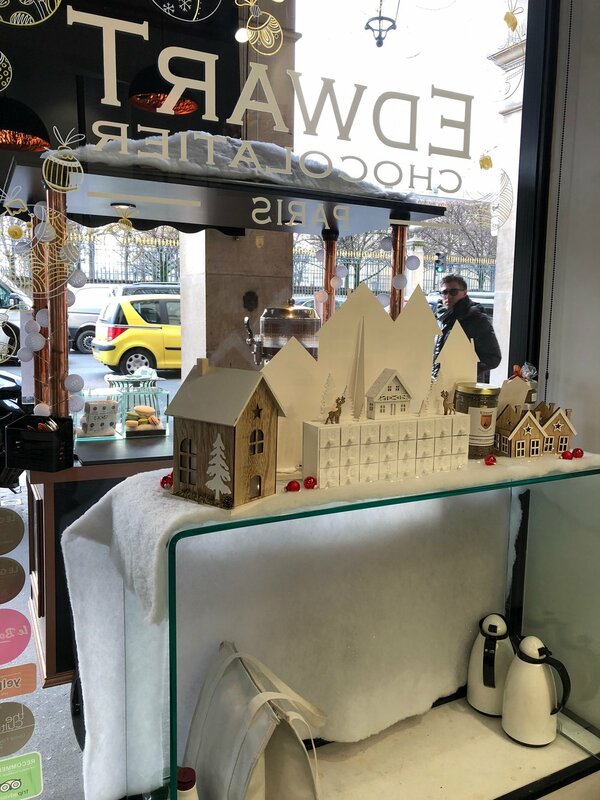 I stopped by Alain Ducasse and Edwart Chocolatier because they were highly rated. The kids didn't love it. They preferred the Kinder bonbons and the Angelina hazelnut chocolates that I got from the airport duty-free shop. I guess fancy chocolate isn't for us (although Bubba loves the pave pieces from Maison Chaudun). I left Paris feeling very content. And also very tired. It happened in March and it happened again.. I can't sleep without my kids near. I was happy to head home to see my babes. I'm not sure when I'll head back next, but I do know I want to do Christmas in Paris with my kids one day.